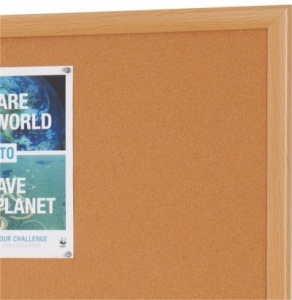 This useful dual purpose noticeboard is available in a choice of 3 standard sizes. 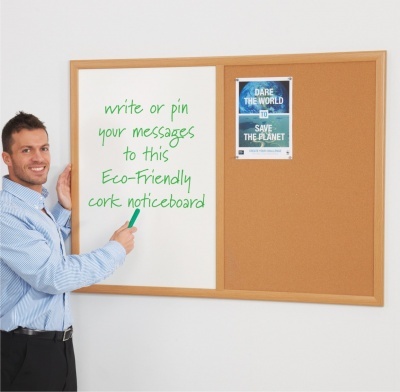 Our range of Eco-Friendly dual Combination Cork Noticeboards feature a modern light oak effect frame complimented by a natural cork pinboard / non-magnetic drywipe whiteboard surface. 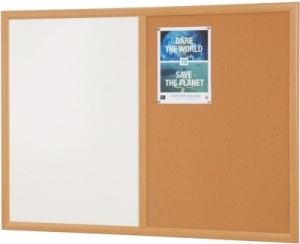 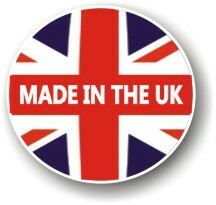 Our Eco-Friendly Noticeboards are almost entirely constructed from timber industry bi-products, and recycled materials.